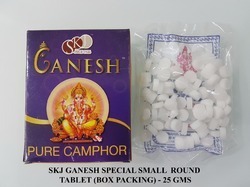 Offering you a complete choice of products which include isoborneol flakes, skj ganesh special pure camphor tablets, skj ganesh lumpy camphor, skj ganesh small tablets and pooja camphor. 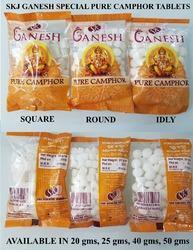 Our camphor tablets are 100% Pure and we manufacture them in 3 different shapes, ROUND (Button), SQUARE & IDLY (Oval). 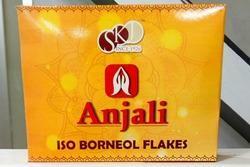 These Tablets are available in 20 Gms, 25 Gms, 40 Gms & 50 Gms Packing. These lumpy Camphor are irrregular blocks of Camphor which are packed in 20 Gms, 25 Gms, 40 Gms and 50 Gms packing. 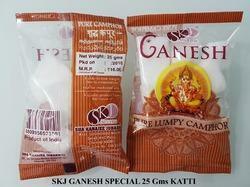 SKJ Ganesh Special Small Tablets has approximately 100 Tablets in the pack. Unlike our other product, this is also 100% pure in nature and without any impurities. For those who seek more number of tablets with less weight this is the apt choice for them. Each box contains 100 Camphor Tablets and they are beautifully packed in packs of 25 No's. Packaging Details: 100 Tablets in each box, wrapped as a pack of 25 in a transparent bag. We are offering wide range of Camphor Balls. Camphor is a white or transparent solid with a strong, aromatic odor. A major source of camphor in Asia is camphor basil. In order to keep high quality of products, we always use the best quality of raw materials to produce our products and strictly supervise the process of producing. 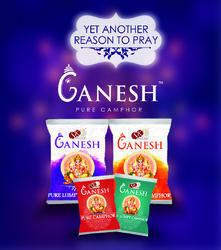 Looking for Pooja Products ?